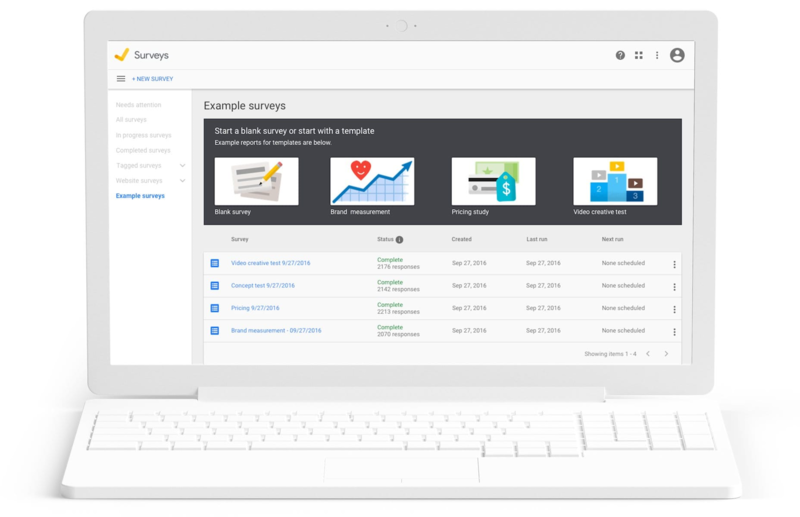 This above screen shows the tools already being used by an account and offers the opportunity to add other Google Marketing Platform solutions. In addition to the products, you will also have access to general platform tools, seen at the top: the Integration Center where you manage product links to share audience information and and data, Administration for adding and removing users, and Recently Visited to show products recently accessed. If you manage a number of different accounts, the Integration Center is helpful for an overview of which products are connected to each other and those that still need to be integrated. This is much easier than individually logging into one client account at a time to see what is not connected. Administration is great for managing a lot of accounts. It provides an overview of who has access to what so you can easily see where you need to add or remove people. It serves as a single dashboard for managing all of your users. 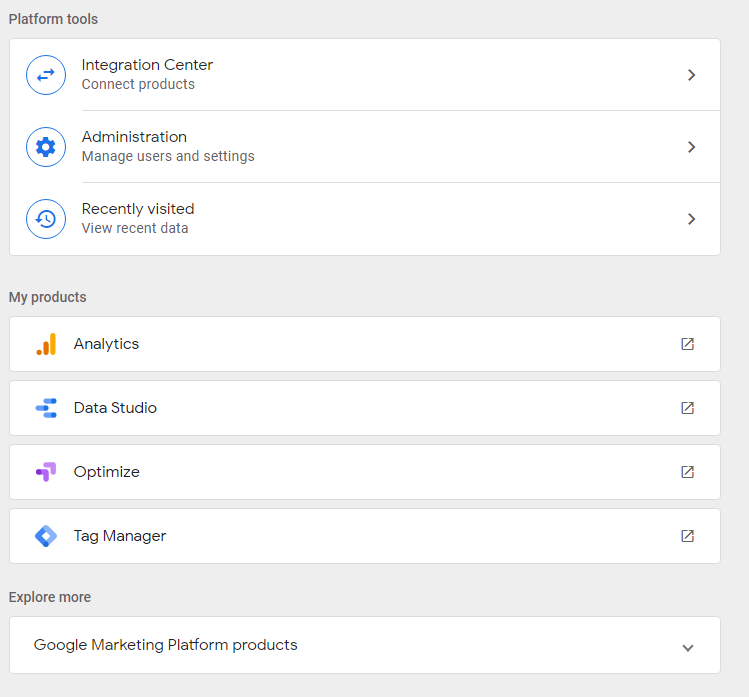 Now that you have an overview of what is available in the Platform tools section, I will walk through each of these solutions for small businesses so you understand how Google marketing solutions work together. Enterprise options, which are paid tools, are indicated by a 360 for Analytics, Optimize, Surveys, Search Ads and Display & Video 360. Analytics 360 is the paid version and Analytics is free. 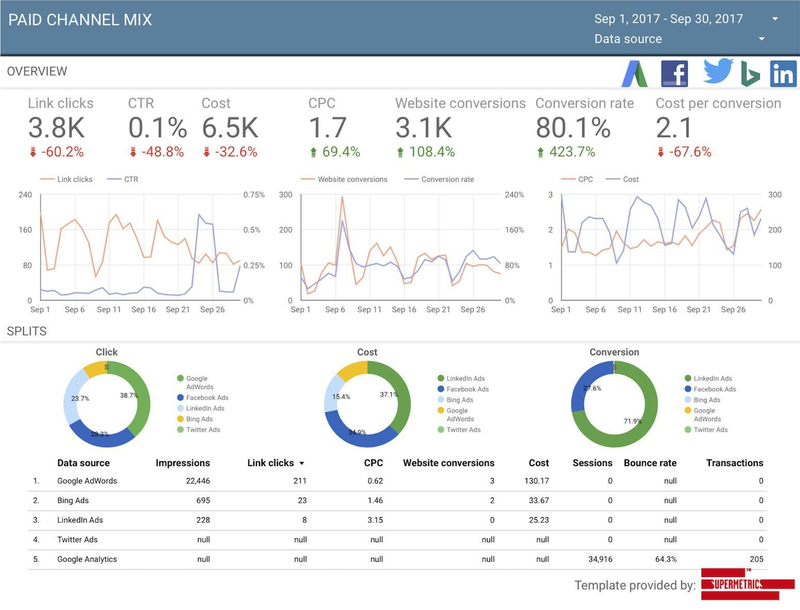 With Analytics 360, users can “access premium capabilities such as advanced analysis, unsampled reports, Google BigQuery export, data-driven attribution”; features that are not available in the free version. Analytics 360 is designed for large organizations that seek integration with other tools, such as Google BigQuery or Salesforce. It also provides more detailed funnel reporting and attribution modeling. What I like about this view is I can see a list of products and corresponding activity at a glance. Below are a few sites where I can instantly see that the site users has increased over 30 days. It also shows when the number of users has decreased. Percentages make it easy to spot significant trends. Many businesses do more than just run Google ads. 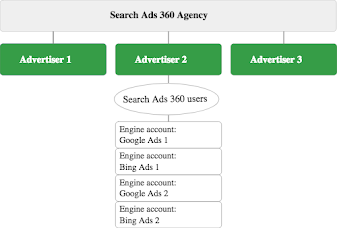 With Search Ads 360, agencies can manage multiple platforms used for paid ads. To track conversions from different platforms, Google Marketing Platform uses Floodlight. This is a tag that tracks all activity on a site and offers rich reporting for conversion data. With a DoubleClick cookie, Floodlight also recognizes repeat visits from a specific browser. What was formerly known as the DoubleClick Bid Manager is now Display & Video 360, a “single, integrated tool that helps creative, data, and media teams work together to execute end-to-end campaigns.” This single tool streamlines the process for planning campaigns, managing the creatives, using audience data, working with inventory, and measuring performance of campaigns. 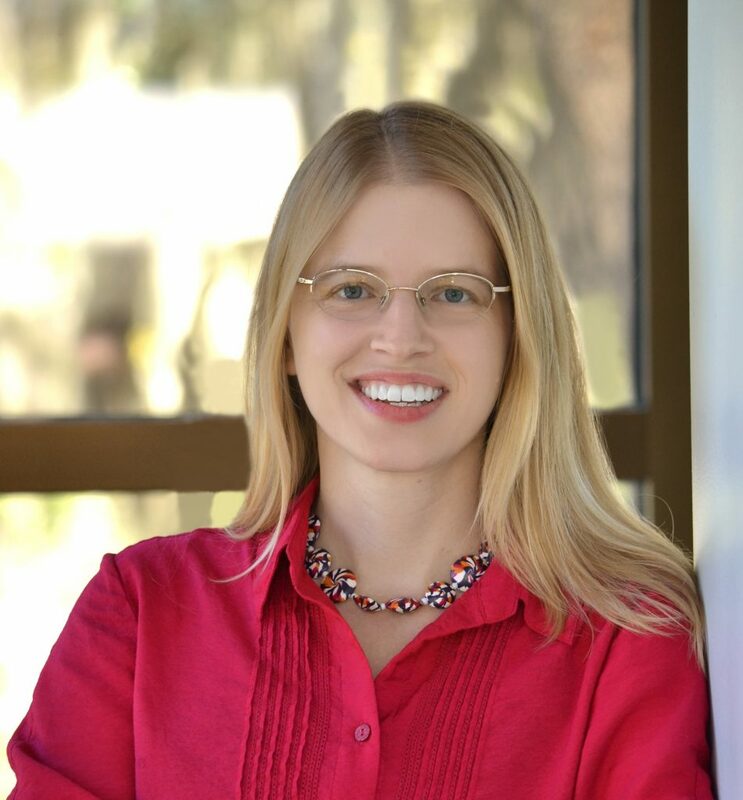 We have covered Data Studio quite a bit here on the Supermetrics blog. I shared a post specifically on creating reports with calculated metrics. You may want to review some of those posts if you are new to Data Studio and learn how to use it as part of your toolkit since it offers free data visualization and reporting. Although it has been available since 2016, it only recently came out of beta with some new features. With Explorer, it is easier to discover insights from mounds of data and one-click integration with BigQuery makes querying more accessible to non-technical users. The Data Blending feature lets you pull multiple data sources together in Data Studio and provides an interactive chart for users to explore. With the help of Supermetrics Data Studio connectors, you can pull data from multiple sources to build comprehensive Data Studio reports. 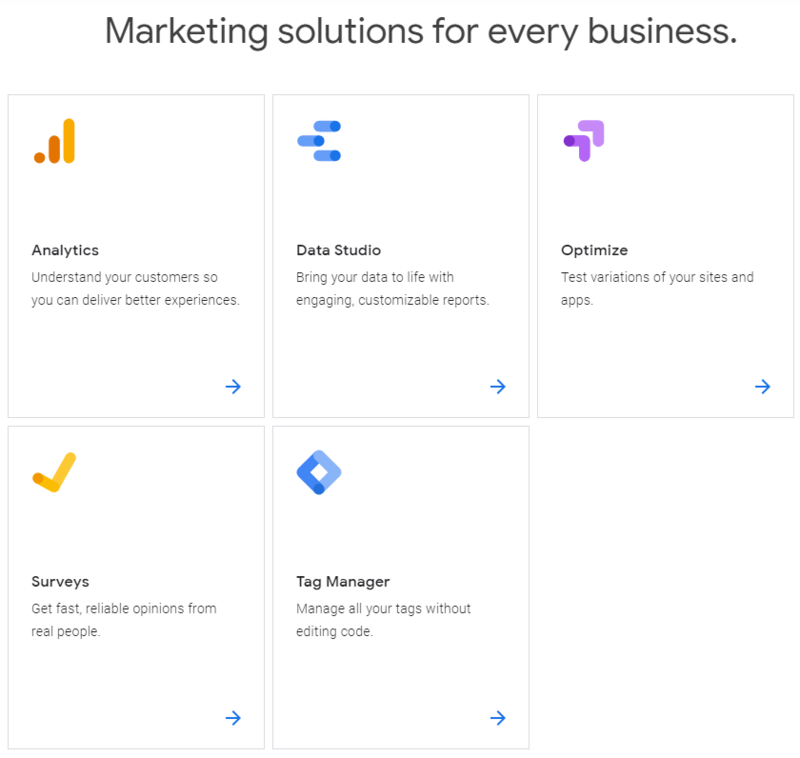 Like other Google marketing tools, Optimize has a free version and a paid version (360) intended for Enterprises which includes Google Analytics audience customization, and more advanced experiment features. Both versions of Optimize enable website owners to do free testing on a website and is integrated with Google Analytics to easily identify which website tests perform well. It can also be used with Google Ads to create custom landing pages. As results from testing are available, website owners can use them to customize the experience on the website and address multiple segments of audience members. Do you want a quick way into the minds of your target audience? With Google Surveys, you can do just that. Gather information to implement much quicker than you would be able to with traditional market research. It is easy to create a custom survey and identify the audience for it. Once that is done, Google sends it out for people to answer as they browse the internet. There is no heavy lifting when it comes to analysis because Google provides graphs and charts explaining the data collected. The free version of Tag Manager does quite a bit already which makes it a good tool for many small businesses. The benefits of the 360 version are “Approval workflows” and “Zones for large-scale implementations and to controlled access to tagging” . If you have to grant permissions at a number of different levels, have multiple containers for very similar setups, or need to better manage collaboration, consider upgrading to Tag Manager 360. It may be especially beneficial for teams that operate in silos. Some staff create paid campaigns, others handle measurement, and still another group manages testing and experiments. Having everything accessible from one place could improve collaboration both in the free product and the 360 versions. Log into https://marketingplatform.google.com/ and see if you agree.